In my previous post, I discussed my concern with the imprecise use of Christian conferencing in the Advance Daily Christian Advocate and the push to reclaim Christian conferencing at the General Conference level. Recent reporting on Christian conferencing leaves me with the impression that the discussion around Christian conferencing has taken a significant step back over the past year. These two UMNS articles   have very different understandings of Christian conferencing. Curiously, there is no indication of an awareness of tension between the two or commentary on the shift. While I am discouraged by the recent direction that the discussion of Christian conferencing seems to have taken, particularly as seen in the Advance DCA, I continue to be eager to see The United Methodist Church return to an authentic retrieval of Christian conferencing. So, how can we do a better job of articulating what Christian conferencing is? And where are the best places to work toward a return to this practice? Andrew C. Thompson’s recent book The Means of Grace offers a substantive and accessible introduction to the means of grace in general, as well as to Christian conferencing more specifically. In his chapter on Christian conferencing, Thompson points out that “fellowship” and “Christian conferencing” are synonyms in Wesley’s writing. For Thompson, “There’s a deeply spiritual component to fellowship, in Wesley’s mind, that makes it centrally about the work of transformation…. Christian believers were gathered together with their hearts open to the work of the Holy Spirit and with a desire to receive God’s grace” (90). Considering the way that conferencing is used in Wesley’s writing, Thompson writes, “Christian conference… is about believers coming together to focus on their faith: to pray, to share their experience of God, to seek advice and to offer counsel, and even to confess their sins and ask for forgiveness” (90). The recent work of Methodist historians like Heitzenrater and Thompson provides a good foundation for working toward a coherent collective understanding of Christian conferencing at the General Conference and Annual Conference level. Again, because of the current lack of clarity and precision in defining Christian conferencing, the best approach is to focus on teaching on this practice at General Conference and Annual Conference, not implementation. In our current moment, attempting to go straight into practice at General Conference is premature, will most likely waste time, and comes across as trying to manage or control the conversation to people from nearly every perspective. The best place to begin working toward reclaiming Christian conferencing would be at the district level where you could offer workshops and training. The key place of implementation is the local church, where ongoing relationships are present. Among Methodist historians, there has been a general consensus that the class meeting is one of the best concrete examples of what Wesley had in mind by Christian conferencing being an instituted means of grace. The specificity of the class meeting as an example of Christian conferencing is helpful for a host of reasons. First, Christian conferencing is a means of grace for everyone, not just General Conference delegates. The primary emphasis for reclaiming this practice needs to be at the local church level and not the General Conference to be sure that all are invited into a practice that is at the core of what it means to be a Methodist. Second, the class meeting’s focus was answering the question: “How does your soul prosper?” This question reminds us that the key focus of Christian conferencing in early Methodism was on God and peoples’ experience with God, or their search for a deeper experience with God’s presence and power in their lives. Third, the class meeting was a small group that was intended to meet together for the long haul, not a few times over a couple of weeks. Christian conferencing can occur in isolated meetings, but I do not think that should be seen as the normal experience of Christian conferencing. Christian conferencing is most likely to occur in the context of ongoing community. One of the reasons I find this to be a difficult topic is because Christian conferencing can occur in a variety of contexts. In thinking about Christian conferencing more over the past few weeks, I’ve realized that I have to say that it is theoretically possible for Christian conferencing to happen at General Conference. It cannot be defined restrictively as a particular type of small group meeting. And yet, I am as convinced as ever that it is foolish to have General Conference be the primary point of emphasis, or the starting point for reclaiming Christian conferencing, in our current moment. Based on the past several General Conferences, we simply do not have good reason to think that genuine Christian conferencing is likely to happen in Portland. Christian conferencing is a precious part of our heritage as Methodists. It is too important to trivialize or gut of its power as a means of God’s transforming grace. It is not everything that happens at General Conference, as has been suggested by conversations around the pre-General Conference meetings in January. In a time when United Methodism is desperate for renewal, we should absolutely look to our past for guidance. We should struggle to discern where God has been at work in the past in hopes of being renewed in the present. I am all for retrieving Christian conferencing. 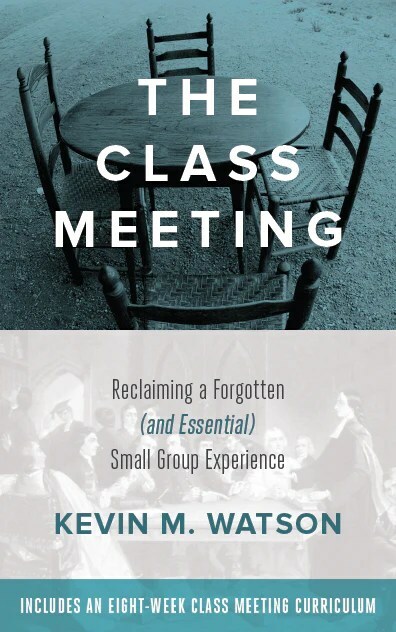 In fact, my recent book The Class Meeting is an attempt to provide a practical resource for retrieving the most basic aspect of this practice within the local church. My worry is that we are currently on a course that will disillusion the key leaders of our church with the value of one of our most basic practices. Recent appeals to this practice have not resulted in what I would consider to be Christian conferencing. Instead, there seems to be a persistent tendency to (mis)use Christian conferencing as a way of sanctifying decisions after they have been made that is self-justifying. To be clear on where I come down on Rule 44: I do not think Rule 44 represents a faithful expression of Christian conferencing. I do not believe Rule 44 would facilitate Christian conferencing. If we continue in the directions suggested by the Advance DCA, I fear that those who would be most poised to advocate for churches to return to the authentic practice of Christian conferencing will come to have a very negative connotation associated with the phrase. Many already do. The consequence could well be that our key leaders become apathetic to Christian conferencing entirely. Even worse, they might actively oppose attempts to reclaim Christian conferencing based on negative experiences at General Conference that were not actual experiences of the practice. Much is at stake for the ongoing vitality and coherence of Methodism. May God grant us wisdom and discernment as we continue to work towards reclaiming a practice that is essential for authentic Methodist identity and practice. I was invited by the Committee on Faith and Order to speak to the Council of Bishops of The United Methodist Church on “holy conferencing” at its November, 2014 meeting in Oklahoma City. The invitation was very encouraging to me, particularly because the working documents that Faith and Order shared with me on their work on the topic were quite strong. I had previously expressed concerns about misuses of the term holy conferencing, where one of only five instituted means of grace in the Wesleyan view had been distorted so that it had become little more than trying to be nice to each other when we disagree. In contrast to previous misuses of the phrase, Faith and Order was working on an account that was more theologically substantive and engaged more robust practices. As I recall, nearly every document they shared with me identified the early Methodist class meeting and band meeting as the most concrete expression of Christian conferencing in early Methodism. I don’t think reclaiming the practice of Christian conferencing should start at the General Conference level because it is asking people to do something that most of them have never done with people they do not know. I don’t think you can take it for granted that people know what Christian conferencing is in contemporary United Methodism. General Conference is not the wisest place to implement Christian conferencing. Rather, it is a prime opportunity to teach people what it is so that they can begin working towards a return to it on the ground at the local church level. As I read reports of the pre-General Conference meeting in Portland last month, I was initially encouraged to see that the Commission on General Conference featured Christian conferencing prominently in its work. The shift away from “holy conferencing” to “Christian conferencing” is a positive move. The desire to lift this practice up at General Conference is also laudable. However, the more I read about the use of Christian conferencing in the Advance DCA, as well as reporting on it by UMNS and other places, the more I fear that we are in for another General Conference that reinforces the distortions of one of the most distinctive practices of the Methodist heritage. The Advance Daily Christian Advocate contains guidelines for Christian conferencing, especially with “A Few Sentences on Christian Conferencing” on page 22. There are also several places where there is a proposed language change from “Conference business” to “Christian conferencing”. Perhaps most significant is “Rule 44,” a proposed rule change to the “Rules of Order” that would allow for a group discernment process instead of the usual parliamentary procedure, which observes Robert’s Rules of Order. In reading through the references to Christian conferencing in the ADCA, my impression is that this phrase is being used to try to have a better conversation about controversial topics. The sentences from The Committee on Faith and Order appear to be a combination of past misuses of the phrase with some corrections and more responsible interpretation. In reading through the sentences, I had a kind of déjà vu experience. Some of it sounded like it came from the manuscript I used when I spoke to the Council of Bishops. Other parts seemed to reaffirm what I critiqued or rejected. In its current form, the document could be used either to support a robust theological vision for reclaiming Christian conferencing or to support a gross distortion of the practice. There is simply not enough precision to rule either out. In my view, the Advance DCA fails to offer a clear definition of what Christian conferencing is. How do we know when we are doing it? How do we know when attempts to Christian conference are falling short of what ought to be considered an instituted means of grace? Reading through the ADCA, I feel a bit like we are hoping that if we say “Christian conferencing” enough that somehow it will happen. I’m also left with the impression that we still lack a coherent and compelling articulation of what it in fact is. Clearly defining Christian conferencing is a real challenge, and all the more so because Wesley himself did not offer a clear definition. The one time he refers to Christian conferencing, all he offers are a series of rhetorical questions that could be used to support misuses of the practice. The need for a deeper understanding of Christian conferencing is one of the main reasons my advice to the Council of Bishops was that General Conference and Annual Conference would be the appropriate contexts for preaching and teaching on Christian conference and the role it has played in our tradition –not trying to engage in the practice itself. If we are not crystal clear on what the practice is that we are trying to reclaim, then we don’t seem to have much hope of succeeding in practicing it at General Conference – the most highly politicized and stressful expression of our collective life together. Stay tuned: The next post will point towards a clear articulation of what Christian conferencing is and ways to reclaim this practice in contemporary Methodism. If you are United Methodist and have attended seminary since 1995, you have (or should have) read Wesley and the People Called Methodists. This book is the standard history of John Wesley and early Methodism and it is required reading in every Methodist History course for which I have seen a syllabus. I have also used the book both times I have taught the Wesleyan Movement course in Course of Study. Abingdon has just released a second edition of Wesley and the People Called Methodists. The new edition, according to the preface, “entails many significant revisions and emendations, based on twenty additional years of research, teaching, thinking, reading, publication, and lecturing” (ix). This is particularly significant when the author of the book is taken into account. Richard P. Heitzenrater occupied the William Kellon Quick chair of Church History and Wesley Studies at Duke Divinity School and is the General Editor of the Bicentennial Edition of The Works of John Wesley. Heitzenrater is considered by many to be the foremost expert on eighteenth-century Methodism. In reading the second edition, I have been delightfully reminded of Heitzenrater’s beautiful prose, which makes Wesley’s life and the broader context of early Methodism accessible to the reader. It is a rare book that is both accessible to a novice to the topic and challenges and advances the understanding of more advanced readers. Wesley and the People Called Methodists pulls this off admirably. In the preface to the first edition, Heitzenrater proposed to “tell the story of the rise of Methodism as a narrative of unfolding developments, without describing subsequent consequences until they occur” (xiii). He continued, “The history of early Methodism is best understood in terms of the emergence and interrelatedness of theological, organizational, and missional developments – each aspect is shaped over a period of many years, and none of these elements is fully understood without seeing its dependence upon the other two” (xiii). Heitzenrater is one of very few historians who has been able to narrate the significance of the connection of theological, organizational, and missional developments for the development of early Methodism. And he does so with an unsurpassed attention to detail. We owe a tremendous debt of gratitude to Richard Heitzenrater for this book. Its elegant prose and presentation, supported by years of primary research, offer a clear and compelling picture of John Wesley and the spiritual renewal with which he is forever associated. Reading this book will help you understand Methodism better and, perhaps, even be caught up in its movement toward holiness. The only criticism I have of the book relates to its production, which is beyond the author’s control. The print quality of the copy of the book I received is poor. The ink on several pages is much too light, as happens on a printer that is running out of ink. And even when this problem is not present, the combination of ink and paper makes the book feel like it is a photo-copied version of the original. Consistent with Heitzenrater’s attention to detail, the first edition contained dozens of illustrations that further illuminate key pieces of the history of early Methodism. The second edition is also illustrated, but the quality of the images is not as good as the first edition. It often feels like the resolution of the images is too low, or that the printer was not of high enough quality. In comparing the first and second editions of the book as a print volume, the first edition appears to me to be of significantly better quality. These are admittedly picky, but they are disappointing detractions from an exceptional book. I would recommend the second edition of Wesley and the People Called Methodists even if you have already read the first edition. And if you haven’t read the first edition, this book should be moved to the top of your reading list. I could not recommend this book more highly for anyone who wants to better understand the beginnings of the Wesleyan/Methodist tradition. This volume provides an alternative to the standard one volume collection of Wesley’s sermons, John Wesley’s Sermons: An Anthology, edited by Albert C. Outler and Richard P. Heitzenrater. The Oulter and Heitzenrater volume is the one I read when I was in seminary and I expect that it will continue to be used in many seminary courses. John Wesley’s Sermons is an exceptional volume that uses the critical edition of Wesley’s sermons from the Bicentennial Edition of the Works of John Wesley and was edited by two heavy-weights of Wesleyan studies. A reasonable question, then, would be: Why the need for a new collection of Wesley’s sermons? Collins and Vickers anticipate this question in their introduction to the volume. The key contribution that the volume makes is that it contains all of the original forty-four sermons that were printed in the edition of Wesley’s Sermons on Several Occasions. These sermons were included in the “Model Deed” that stipulated that Methodist preachers must not preach or teach doctrine contrary to that which was contained in this collection. Collins and Vickers argue that “when Wesley drafted this disciplinary instrument, he obviously viewed these forty-four sermons, and not his entire sermon corpus, as being of remarkable and distinct value in the ongoing life of Methodism” (xiii). The Outler and Heitzenrater volume, on the other hand, omits nineteen of the forty-four sermons. A strength of this new collection, then, is that it contains all these sermons, which Wesley indicated were of particular value for the “people called Methodists,” in one volume. This new volume has the advantage of presenting a (nearly) complete collection of the entirety of the sermons Wesley identified as having particular significance for early Methodism. It also includes an additional eight sermons that the editors felt were particularly helpful in “pass[ing] on the legacy of the Methodist tradition in a practical and relevant way to the current generation” (xix). As indicated in my endorsement of the book, I think the most important contribution of this volume is that it is organized according to the Way of Salvation. The Outler and Heitzenrater volume was organized to focus on the development of Wesley’s thought over the course of his own life. This approach has significant value for seminars in Methodist history and doctrine. The main strength of the organization of the Collins and Vickers volume, on the other hand, is that it can readily function as a catechetical tool for helping form contemporary Wesleyans in their own theological tradition. For more on The Sermons of John Wesley, including some insightful questions about the collection, see Fred Sanders’s interview with co-editor Jason Vickers at Patheos. The Sermons of John Wesley: A Collection for the Christian Journey will be an important resource for helping to form the next generation of Wesleyans in the Christian faith. “Holy conferencing” seems to be one of the buzz words for contemporary United Methodism. This post is the second post on this topic. (It could be seen as the second of three posts, as an earlier post pointed out that Wesley himself did not use the phrase “holy conferencing.”) The first post discussed the contemporary use of “holy conferencing.” This post discusses what Wesley meant by the phrase “Christian Conference,” which is the phrase from Wesley that is usually connected to contemporary uses of holy conferencing. What did Wesley mean by the phrase “holy conferencing”? In order to understand Wesley’s use of Christian Conference, it is helpful to think about how he uses the phrase as a general concept and how it functions as a practice. When Wesley talks about Christian Conference as a concept, he is generally talking about how Christians ought to converse with one another. However, when he talks about Christian Conference as a practice, it is located within his understanding of “social holiness” or communal formation. My argument here, then, is that Christian Conference should be understood to be a concept that is located within a particular understanding of communal formation. If you divorce the concept from the way it is located in a particular set of practices, you no longer have the full Wesleyan understanding of Christian Conference. In order to understand Wesley’s use of Christian Conference, then, we will need to discuss the way he used the phrase as a general concept and the way he located it within a particular set of practices. Are we convinced how important and how difficult it is to order our conversation right? Is it always in grace? Seasoned with salt? Meet to minister grace to the hearers? This passage is interesting because it consists entirely of questions. It does not clearly define what Christian Conference is. We can only discern what it is by inferring what the questions imply. For the most part, this is relatively easily done with these particular questions. For example, Wesley believes that Christian Conferencing should usually be limited to an hour and it should be started and concluded with prayer. And yet, Wesley also seems to assume that there is clarity about the meaning of this phrase, so he doesn’t define it. Instead of talking about what Christian Conference is, he focuses on a few ways the practice could be improved. It is also significant that the discussion of holy conversation occurs within a sermon about “walking after the Spirit.” Holy conversation, then, is a part of a greater whole, where people are “filled with faith and with the Holy Ghost” and “possess… the genuine fruits of the Spirit of God.” Moreover, “holy conversation” is the result of being led by the Holy Spirit. It isn’t something that we bring with us to difficult conversations, it is something God does for us and in us. So, how was this concept situated within the particular practices of early Methodism? This is where, in my view, there is a clear divergence from the way that “holy conferencing” is most often used or understood in contemporary United Methodism, where it largely remains an abstract concept that generally applies to talking to other people, particularly about difficult topics. 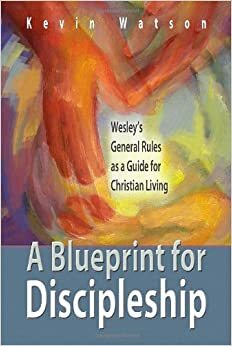 For Wesley, Christian Conference was grounded in his emphasis on the importance of Christian communal formation, or social holiness. Several of the questions where Wesley discusses Christian Conference as an instituted means of grace suggest that Wesley was thinking of something like the class and band meetings. Wesley believed that the class meeting served to “minister grace to the hearers” through talking about the state of each person’s soul. He also pointed to the need to limit the duration of the meetings. And the “Rules of the Band Societies” include instructions to begin and end the meetings with prayer. Scholars have argued that for Wesley Christian Conference and Christian fellowship are nearly synonymous. (Thanks, again, to Andrew Thompson for pointing me to this.) So, when Wesley talked about Christian Conference as an instituted means of grace, he most likely had in mind a way of conversing that occurred within a particular context, where something like “bearing one another’s burdens” or “speaking the truth in love” was happening for the sake of growing in holiness. The place where this kind of conversation was expected to happen in early Methodism would have been obvious: the class meeting and the band meeting. As I began working on this, I emailed Dr. Randy L. Maddox and asked him for his thoughts on Christian Conference. In his response he said, “When Wesley refers to Christian Conference as an instituted means of grace, I think the class meeting is the best example of what he has in mind. This is particularly the case if we assume his primary focus in ‘means of grace’ is sanctification” (quoted with permission). But why is the class meeting listed explicitly as a prudential means of grace for Methodists, and not also as an instituted means of grace for all Christians? Wesley clearly acknowledged that the class meeting was not prescribed by Jesus. However, he did believe that something like the class meeting was. So, Wesley did believe that the general idea of small groups focused on our lives as followers of Christ was a general principle for all Christians. The class meeting was simply the particular way that Methodists were living out this principle. So, what did Wesley mean by Christian Conference? Christian Conference was honest, direct, piercing conversation with other Christians that was intended to help the participants grow in holiness. These conversations were most obviously situated within the weekly class meetings and band meetings. This relates to the first post on the contemporary use of holy conferencing, then, because Christian Conferencing was not generally understood to be having a one-time polite conversation about a controversial subject. Rather, it was focused on the details of individual people’s lives, where they were experiencing God and growing in faith and holiness, and where they were not experiencing God or failing to grow in faith and holiness. Now that is a practice worth reclaiming!